Car and truck lifts to meet your every need. Forward Lift is a leading manufacturer of automotive lifting equipment. Our lifts are uniquely designed for a wide range of customers. We provide safe and reliable lift systems for independent repair shops, car dealerships, body shops, national accounts, home enthusiasts, hobbyists and heavy-duty truck facilities. These surface-mounted lifts feature arm designs that allow vehicles to be raised symmetrically or asymmetrically. Our four-post, surface-mounted lifts come with a Single Point Latch Release System, and capacities range from 9,000 to 14,000 lbs. 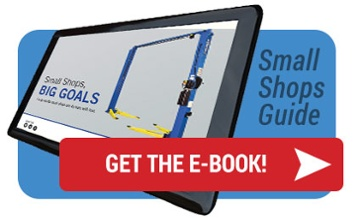 Perfect for shops with low ceilings or those looking to quickly add capacity, these portable lifts range from 6,000 to 10,000 lbs. in capacity. Scissor lifts act like four-post lifts without the posts, giving you more room to maneuver around the lift. There are multiple installation options for flat surface bays. Our mobile column lifts make lifting heavy-duty vehicles like dump trucks, fire engines and diesel pushers look easy. Plus, moving the mobile lift is a breeze. These surface-mounted lifts are easy to move and able to lift up to 1,000 lbs. They're perfect for servicing all-terrain vehicles, motorcycles and more. Forward Lift has a comprehensive line of car lifts to suit any need. With our range of well-designed products, you can lift, repair and lower any vehicle without issue. And our lifts are third-party tested and ALI certified, so you know you can trust the quality. When you think of lifting, be a forward thinker. Forward Lift®, that is. "We currently have a 2 post Forward 9000lb Asymmetric lift in our six bay shop. It has been the most reliable lift we have. Looking to add another lift, 10,000lb. asymmetric."